NEAL ADAMS SIGNING at Royal Collectibles 8/29/15! 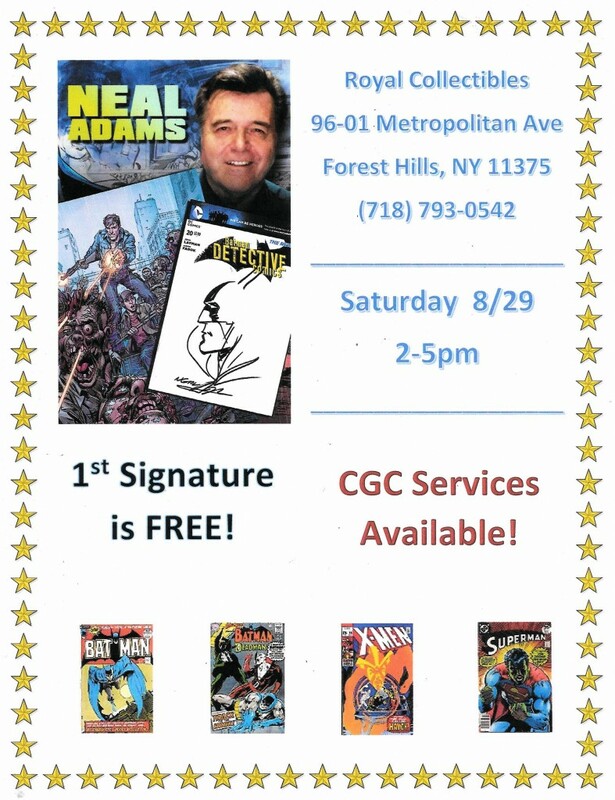 We will also have a CGC Witness on hand if you’d like to submit your signed book to be graded and receive a Signature Series yellow label (book must be submitted day-of). For this Mr. Adams charges $30, grading is $40, for a total of $70 per book submitted. If you have any questions, don’t hesitate to e-mail at royalcomicsny@gmail.com or call at (718)793-0542. This entry was posted in General Info on August 26, 2015 by admin.